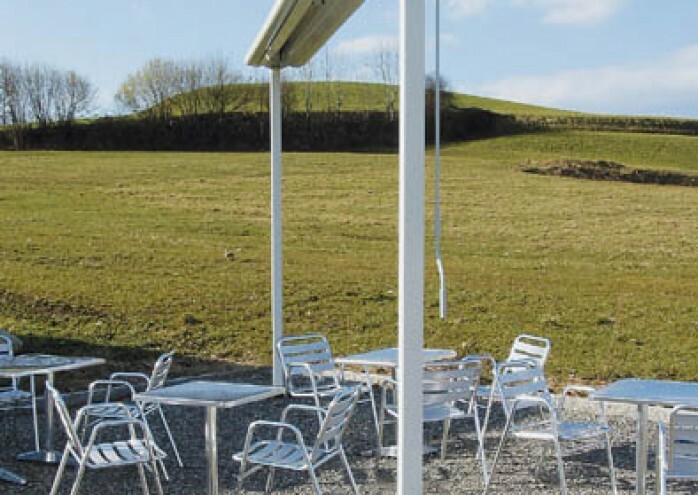 The Boxmobil makes it easy to bring shade with you to large open spaces. 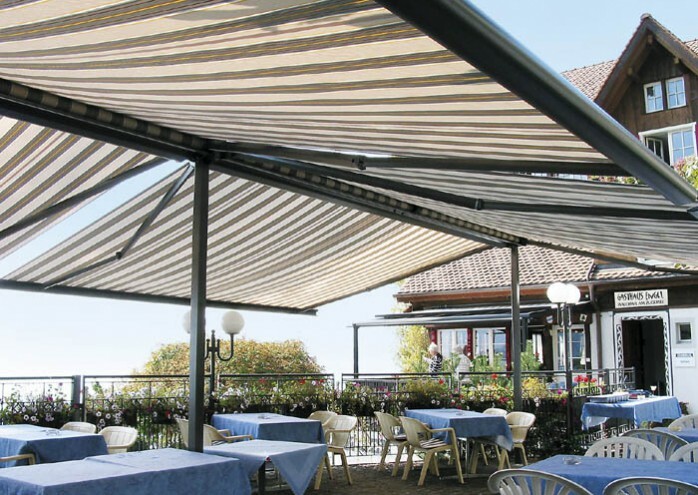 This free-standing awning system is especially suitable for restaurants, swimming pools, and anywhere else 400 square feet or more of shade is needed. 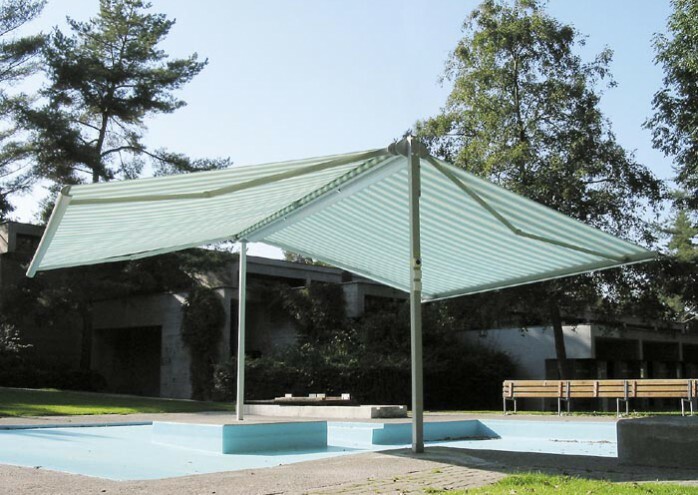 The structure is made of solid steel supports and two box awnings, which can be operated individually by gear and crank or by an optional electric motor. The automation and control systems, available as accessories, protect the Boxmobil awning against damages caused by sudden weather changes. 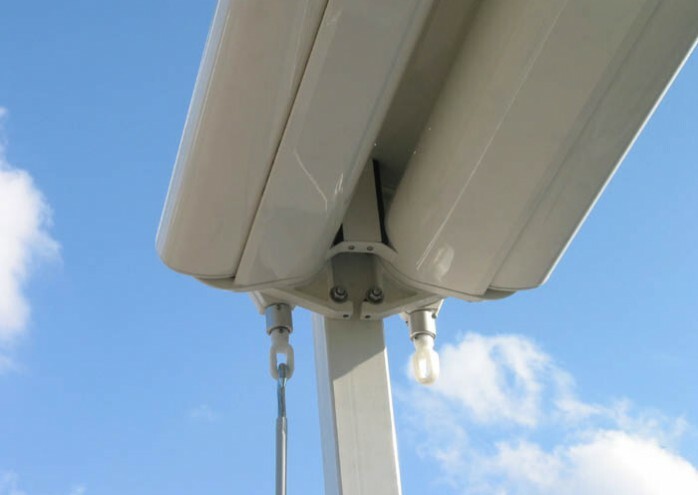 The fabric and folding arms are protected by the all-round sealed boxes against the weather when retracted. 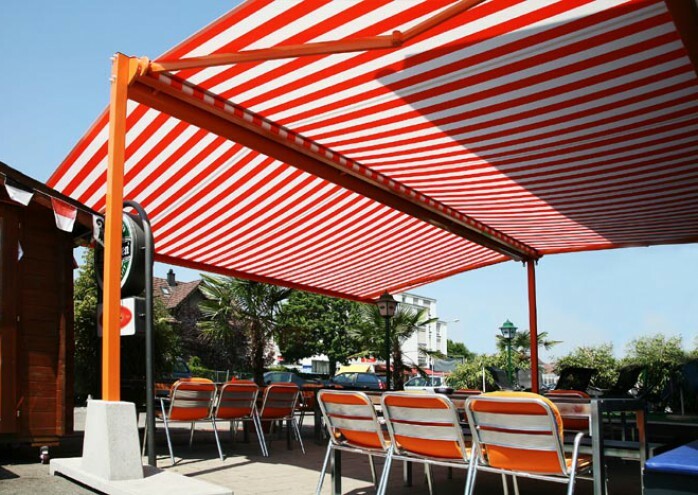 Stability is guaranteed with flush mount floor sleeves or with floor sleeves for a clean look, and it’s even possible to link several awnings together for the ultimate in free standing shading.